Mould tool maker Amtek Precision Engineers has taken advantage of a GTMA grant to upskill its workforce. Over the last three years, The Totnes, Devon-based company has met the challenges of intense competition in the mould and die sector with a programme of investment that has seen manufacturing technology, such as a Mazak Integrex 200-IV multi-tasking machine tool, being purchased. With equipment such as this, Amtek is continuing to improve and develop its product offering for the mould tool side of its business, while also diversifying into other areas. However, the complexity of components in high precision industries, such as aerospace, medical and pharmaceutical, called on Amtek to investigate the upgrading of the skills sets. In particular, it identified a need for greater knowledge surrounding the application of the latest CADCAM technology using Delcam's Powershape software. 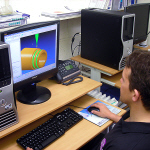 The resulting training from Delcam would ensure that the Mazak machine was being fully utilised, applying specific 5-axis cutter paths more effectively to improve productivity, and the Amtek's CADCAM engineer, Dan Grant, duly undertook the course, backed by a Tooling Trust grant. "The training that Dan has received as a result of The Tooling Trust grant has enabled Amtek to take full advantage of the 5-axis machining capabilities of our Mazak Integrex. It has also allowed us to rethink the way we approach many of our operations; increasing efficiency and reducing lead time," says Mike Lawes, production manager, Amtek Precision Engineers. 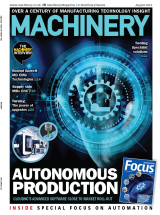 The Tooling Trust, which replaces the former Gauge & Toolmakers Educational Trust, supports training initiatives for companies operating in the precision manufacturing technologies sector. It also supports initiatives such as The Young Apprentice of the Year Competition; design courses for the gauge and toolmaking sector; and the GTMA Business Development Training programme. The grant awarded to Amtek is designed to encourage Gauge & Toolmakers Association (GTMA) members with no more than 50 employees to place employees on training courses. It achieves this by part funding training costs, and some associated expenses, for any industry or nationally accredited short courses. Each GTMA member can apply for two grants in a calendar year and awards are made entirely at the discretion of the Trust, which is overseen by the Board of Trustees, all with extensive experience in the precision manufacturing technologies sector.